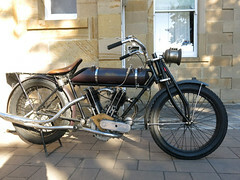 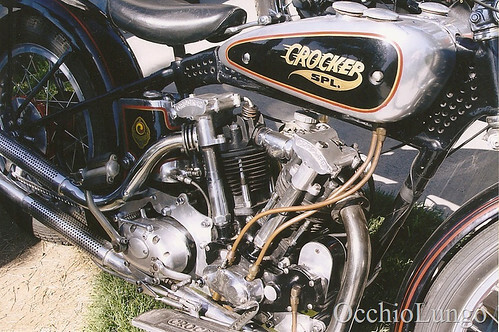 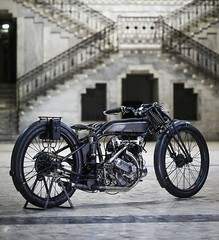 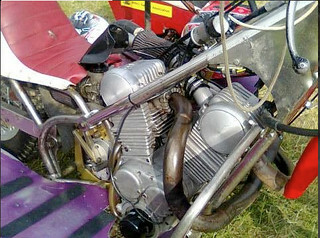 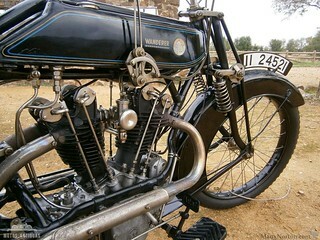 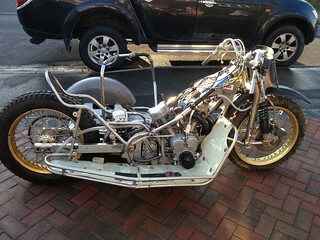 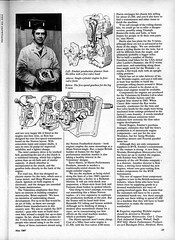 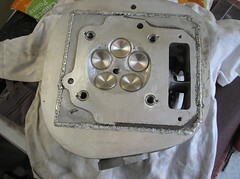 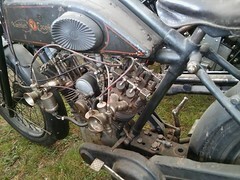 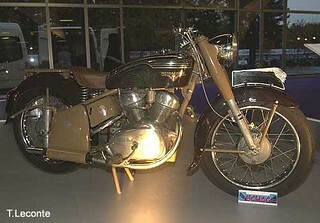 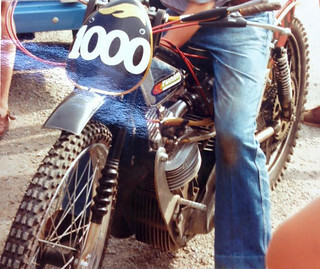 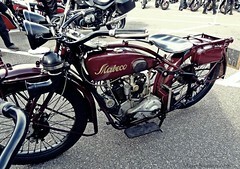 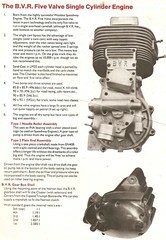 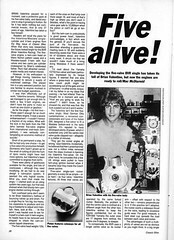 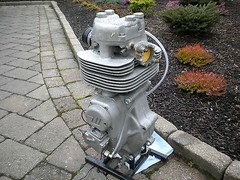 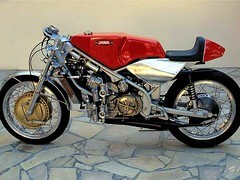 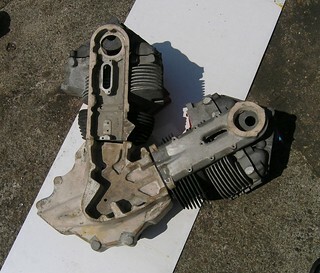 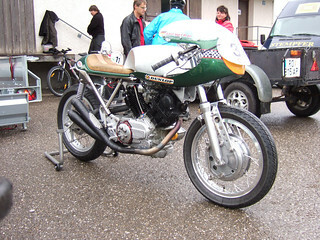 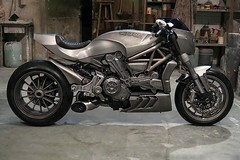 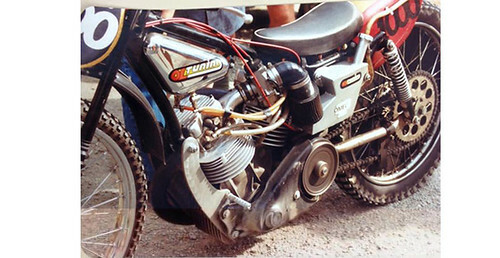 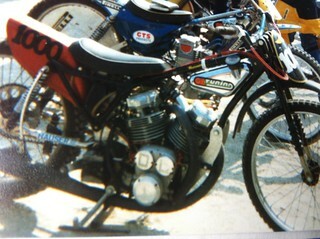 "I have widened crankcases by 30mm and obtained a Moto Guzzi crankshaft and rods and bearing housing with main bearings. 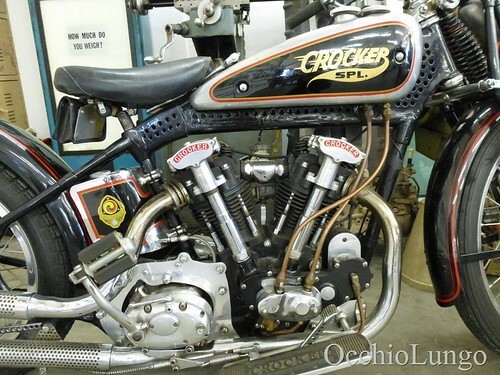 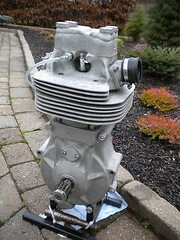 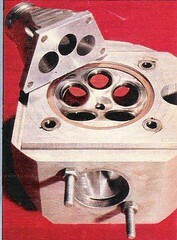 This is a one-piece crank with the same stroke as the G50 Matchless. 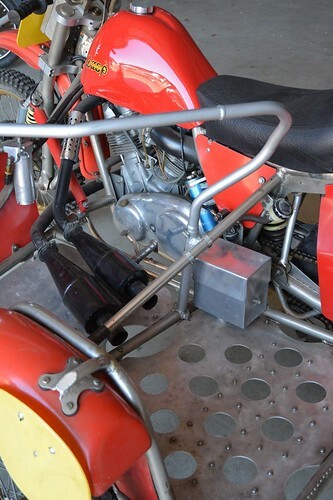 The extra width allows more room for the front cylinder carb and the rear cylinder exhaust. 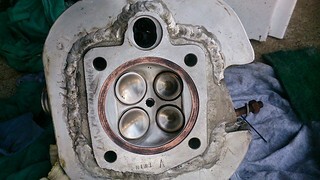 The main bearings are ball - not roller bearings. 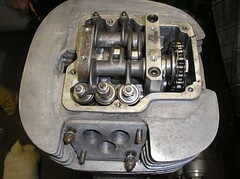 A new half -timing pinion gear has been made to fit the crank and the crank has been modified to do the job. 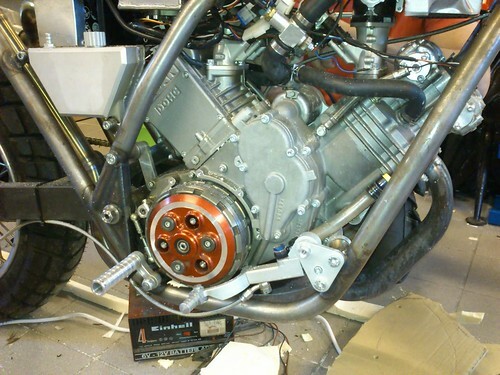 This allows for a belt drive pulley to be fitted where the Guzzi clutch flywheel bolted on. 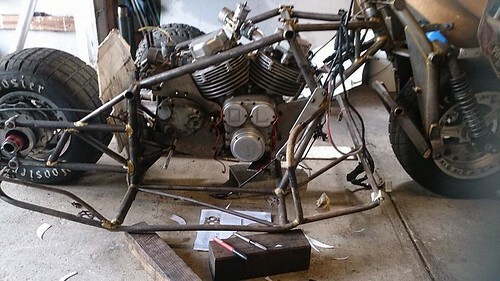 I am slowly getting there." 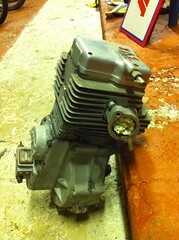 "I have a Moto Guzzi crank now, with main bearings and con-rods. 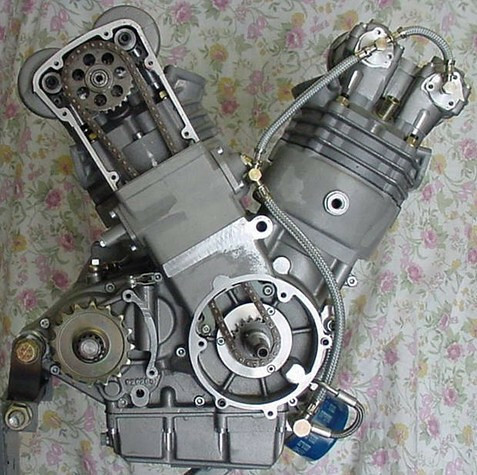 I have had a timing pinion and an idler gear made, making a dummy plate to check the timing and the crank... all the work is okay! 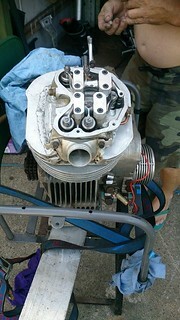 I altered the crankcase patterns to allow for a wider Guzzi crank... things should go reasonably quickly now! 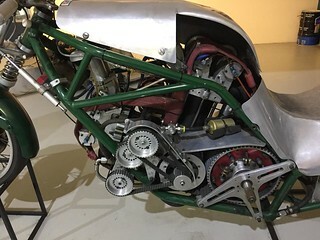 I am going to use belt drive to the clutch... 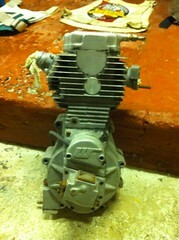 I'm also looking to possibly using 5 speed Guzzi gearbox turned side ways? 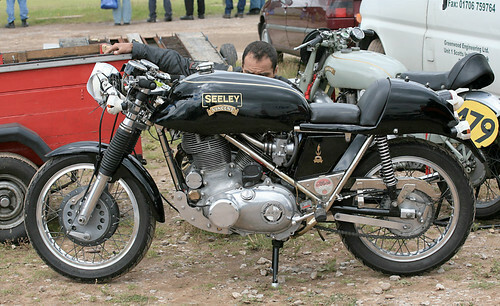 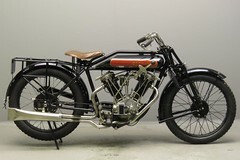 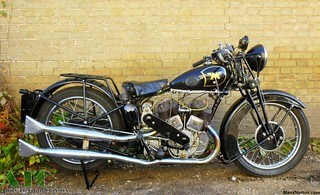 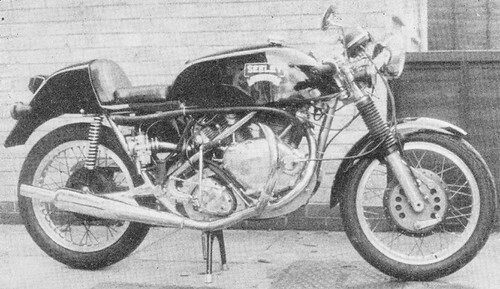 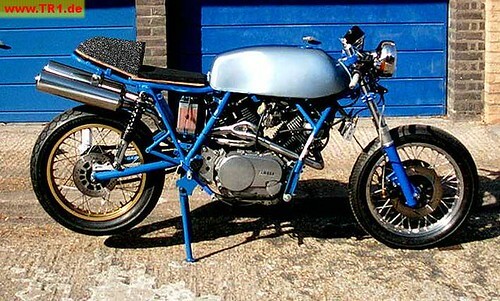 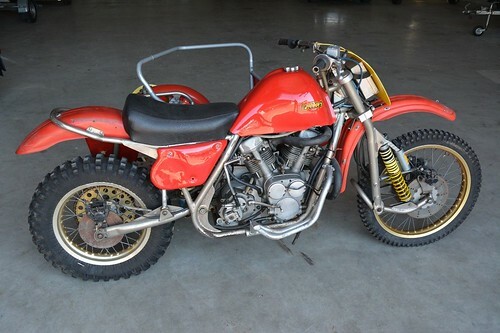 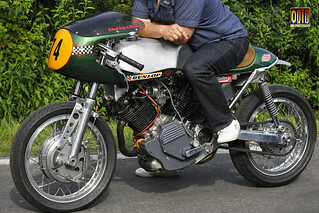 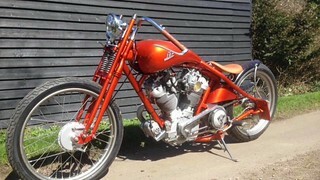 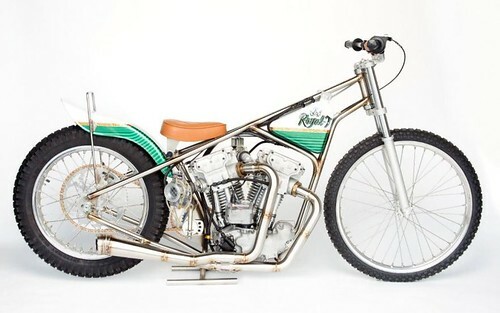 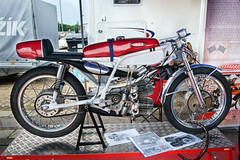 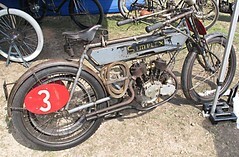 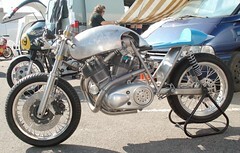 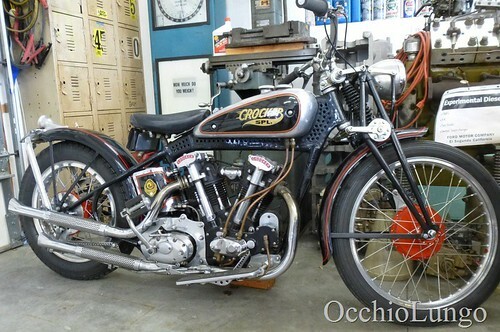 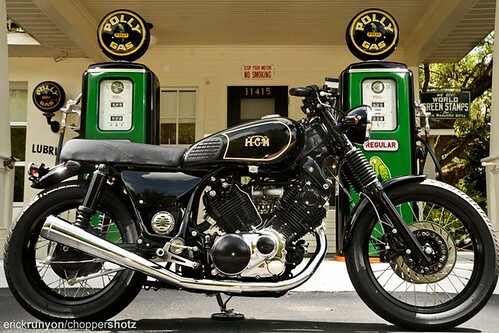 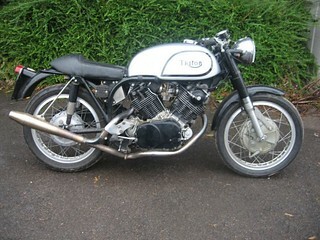 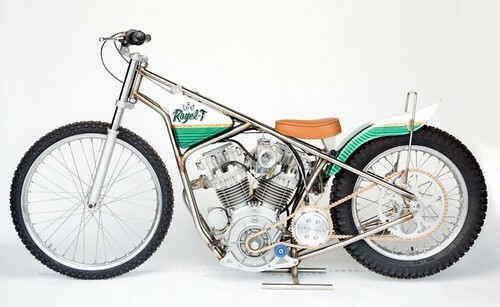 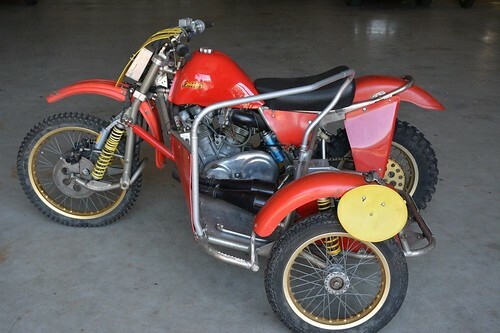 I'm also looking to possibly using a modern Egli Vincent frame made to fit. 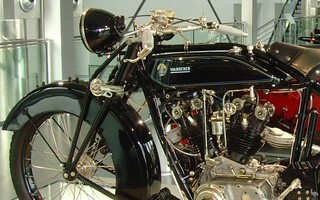 The cost of the frame is around nine hundred pounds, (with oil in the frame)." 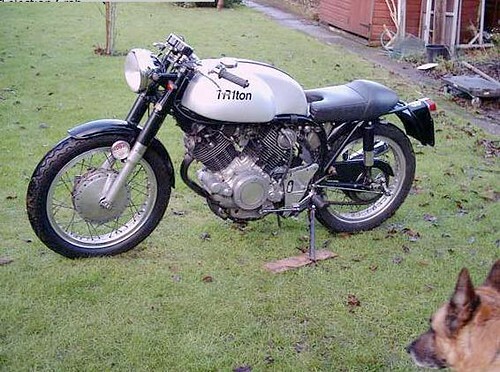 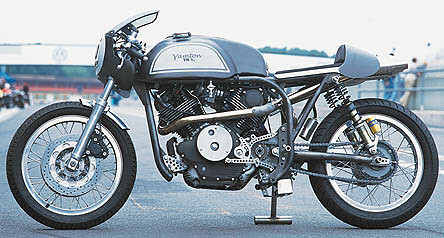 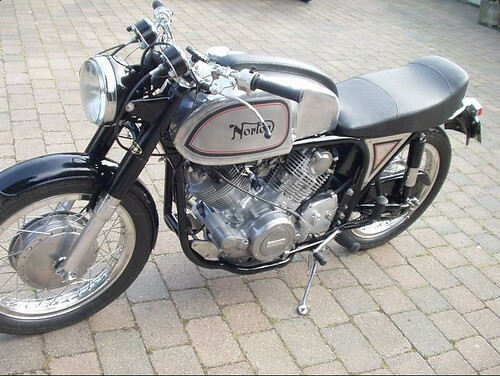 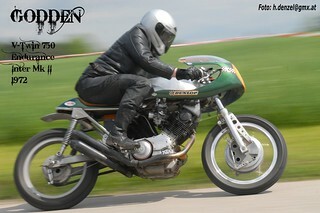 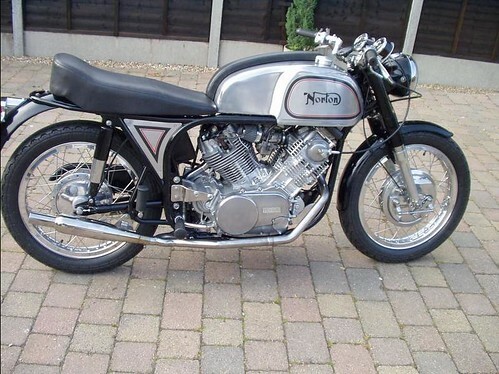 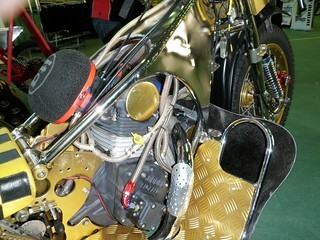 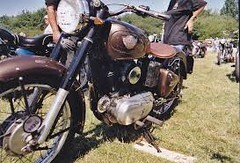 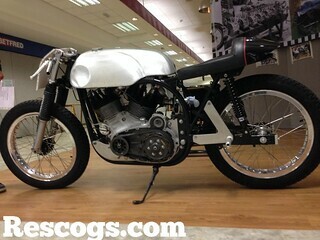 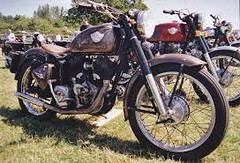 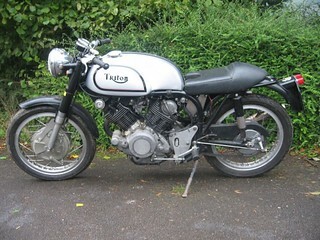 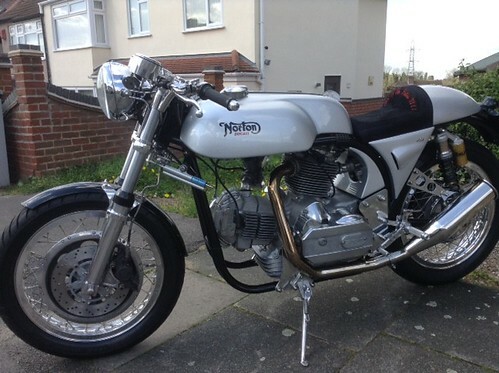 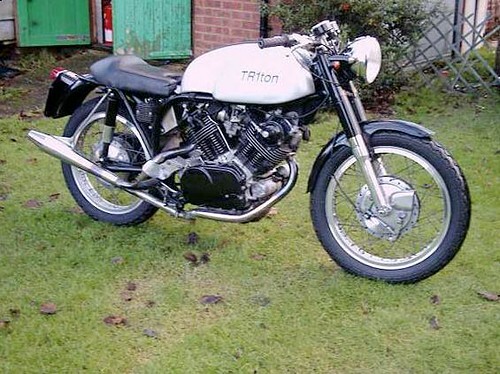 HANDCHANGE JAPTON: Dog-eared JAP in a Norton Featherbed with hand gear-change! 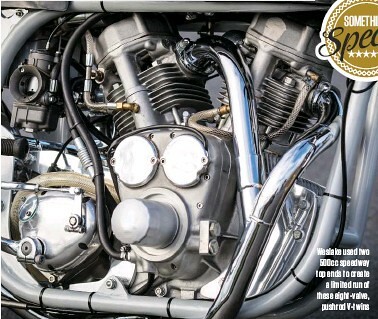 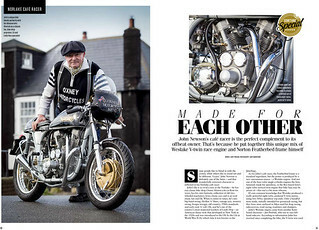 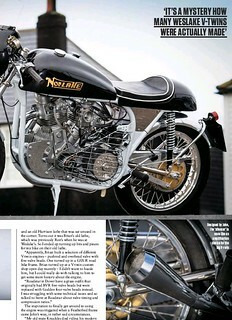 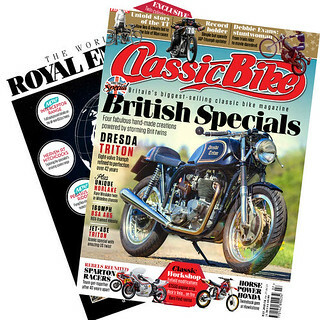 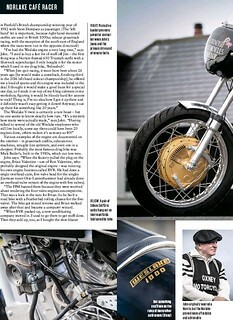 The NORLAKE features in this month's Classic Bike magazine (July 2018) ... big article with pictures! 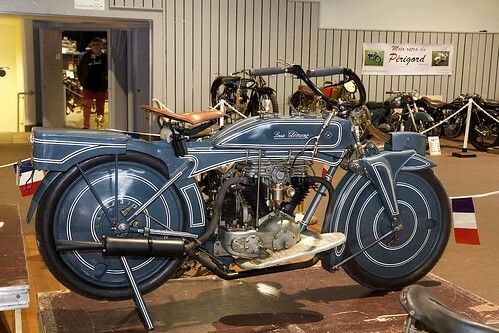 BLACK ERNA made by Otto Lantenhammer. 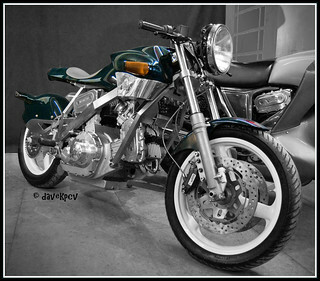 This time we have colour pictures. 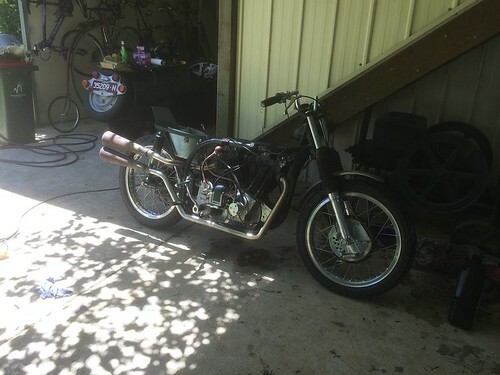 Latest iteration of Black Erna circa 2014. 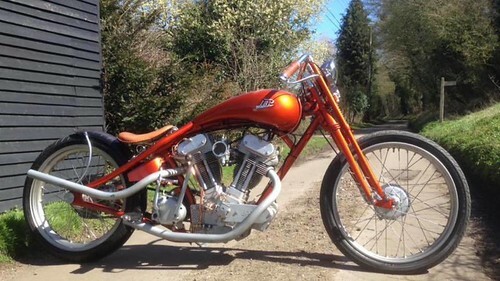 Bought by Paul Pinfold who still had it in 2014 (in Australia) . 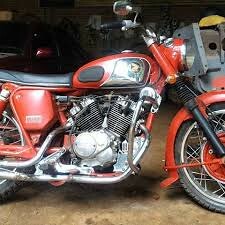 who was thinking of selling it at that time. 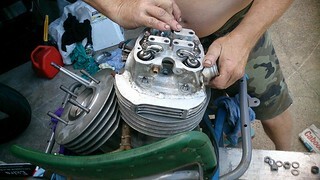 He still had it in 2015, when he posted these pictures of the heads, while preparing it for his kneeler sidecar (see picture above). " 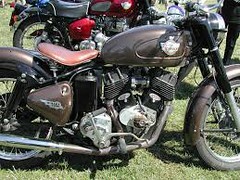 At this moment have standard Norton diapham clutch with triple row chain, need ign system to run of 2 sets of points, and carbs." 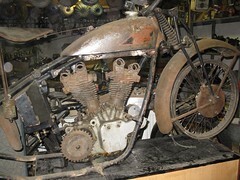 has since died (Jan 2016). 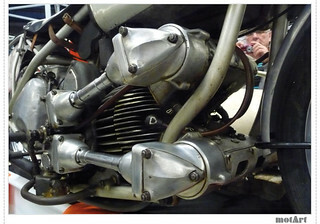 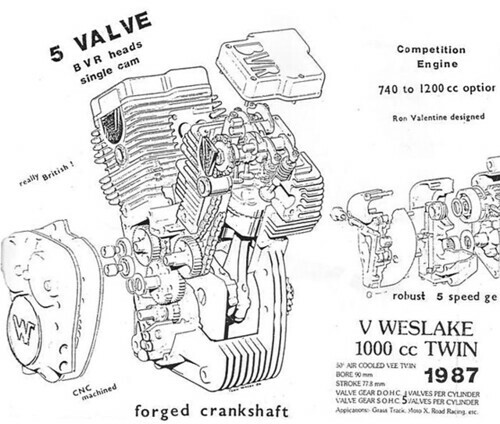 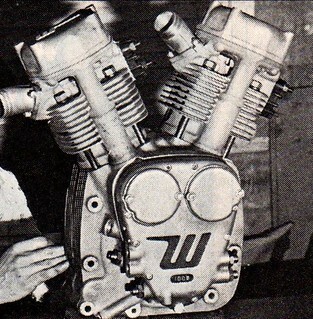 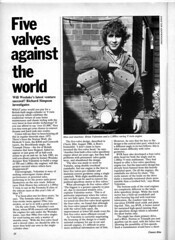 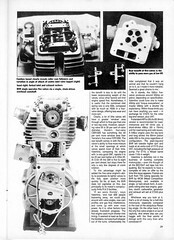 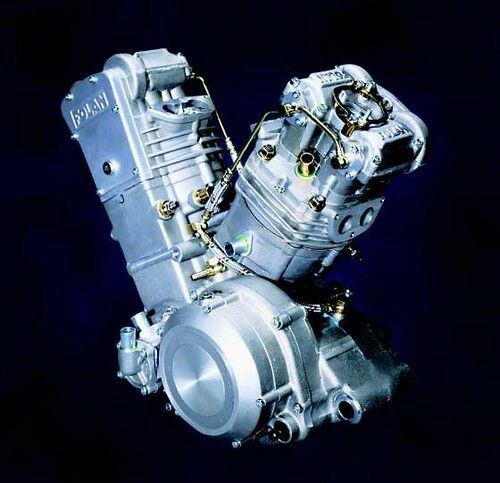 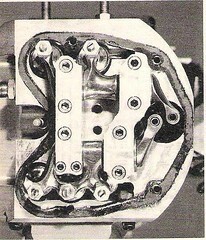 On the left above, we have the Weslake 5-valve design using a normal Weslake Mk2 bottom end with BVR 5-valve heads. 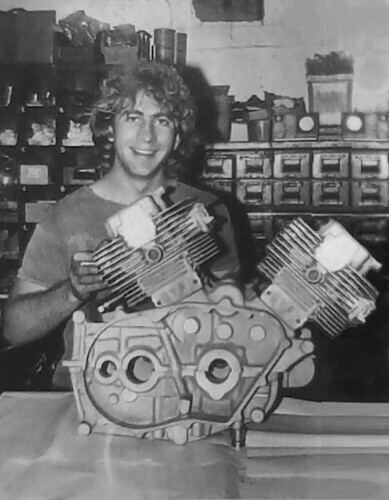 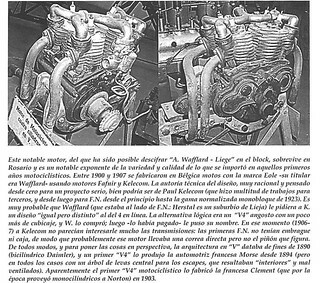 On the right we have the 10-valve BVR engine, which appears to have a much bigger vee angle - about 85 degrees as opposed to the 50-degree Weslake version, and is now unit construction. 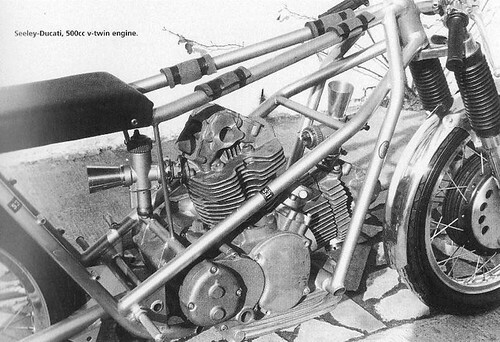 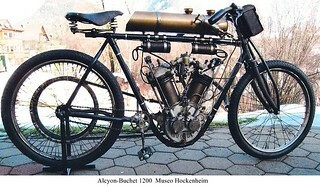 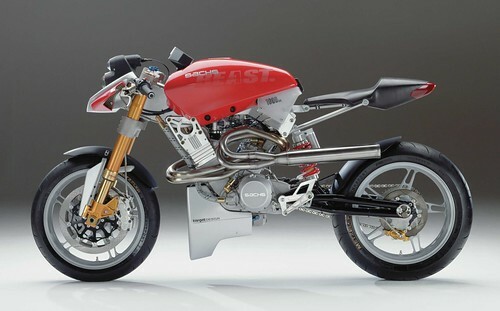 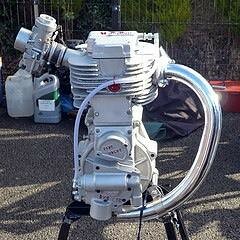 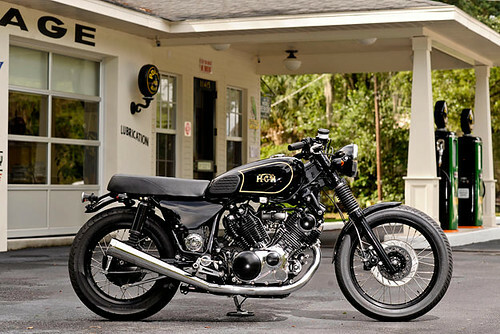 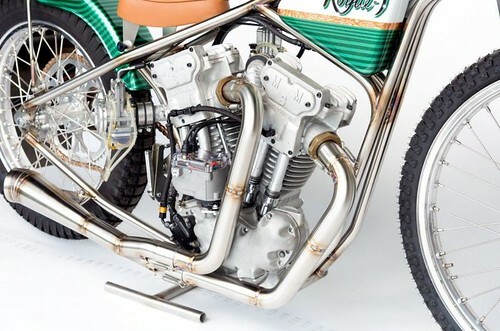 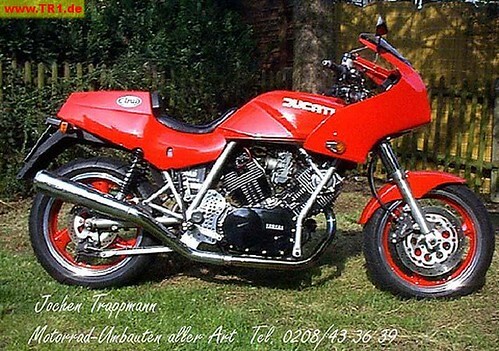 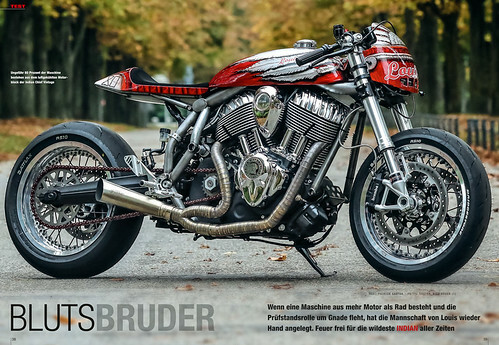 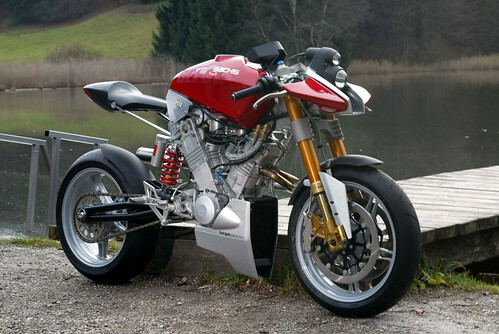 "...built as a prototype for possible V-twin production. 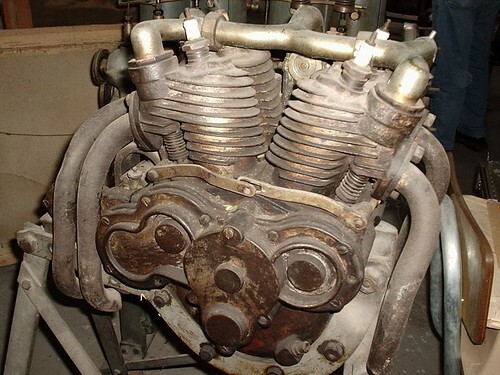 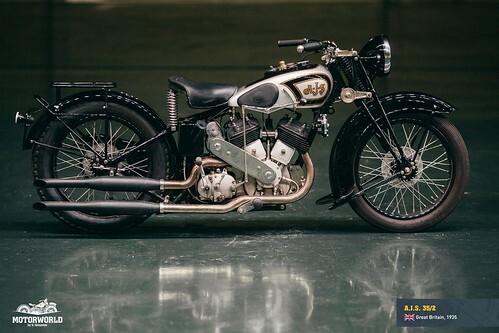 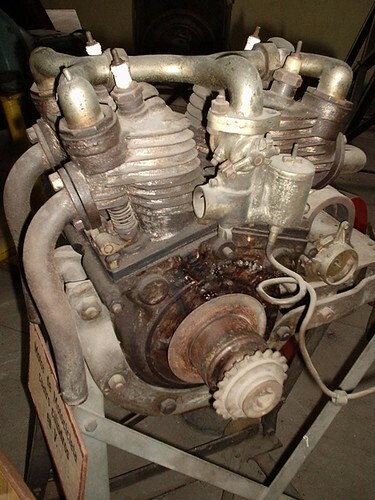 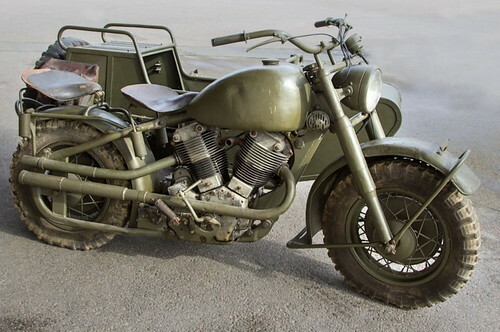 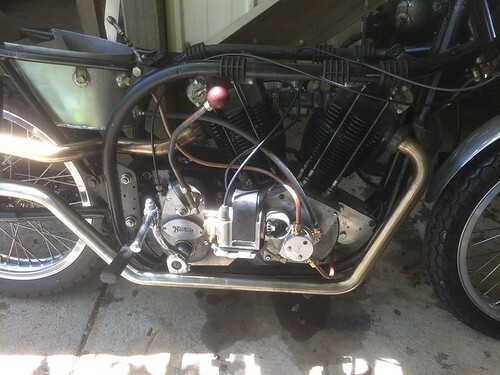 It started as a 74 cubic inch Harley-Davidson 46U flathead motor – the Meirs kept the bottom end and then “created their own heads, cylinders, and internals making a 1000cc v-twin with a 15:1 compression ratio producing 160HP. 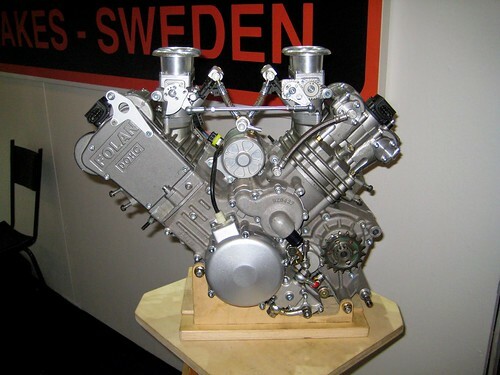 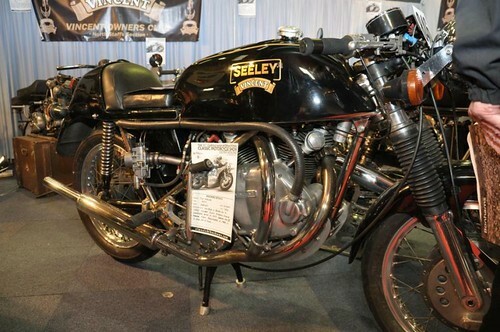 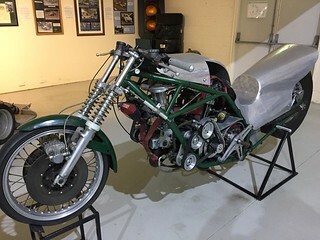 The engine’s valve train was adapted from a Coventry Climax motor (early 1960’s Formula 1) along with early JAP rocker arms.” The story gets better – this motor supposedly won all 15 races it competed in..."